I’m available on a limited basis for speaking engagements worldwide, including presenting at conferences and holding workshops. I’m an experienced public speaker, and my primary topics of focus are Spatial IT, GIS technology and usability, and open data. If you’d like me to speak at your event, please contact me via james@fee.fm or you can find my contact details here. I’m an GIS Professional specialising in Spatial IT. I work for Spatial Networks as VP Professional Services, and I’m an invited speaker at industry conferences worldwide. I’ve written hundreds of articles on development, user experience, interface design and technology here at spatiallyadjusted.com, and my clients include everyone from independent GIS professionals to Fortune 500 companies. You can find out more about me below, and on my About page (which also contains my full contact details). I most enjoy speaking about Spatial IT aspects of Geospatial workflows, including everything from determining needs of the tasks to pragmatic software/hardware choices and even designing and developing custom spatial scripting workflows. I try to pitch my sessions such that they will be enjoyed and understood by technical and non-technical audiences alike. 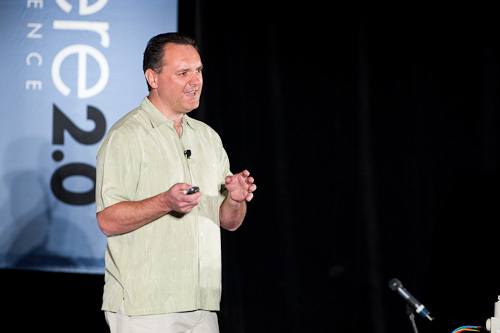 I particularly enjoy delivering opening or closing keynote presentations. For workshops, I enjoy collaborative sessions talking about difficulties faced by the workshop’s attendees, with implementation details taking second place to best principles. Past topics covered include: Future of GIS, Staying Relevant with GIS and Technology, Crowdsourcing and Professional GIS, Data Sharing, GIS in the Cloud, Scripting GIS and others. Most of my talks are posted on Speaker Deck. I’d be pleased to speak at your event or your company, anywhere in the world. I can deliver any length of session, and I recommend allowing at least 45 mintues, and ideally an hour. Please contact me as far in advance as possible, because my speaking calendar can fill up quickly! I ask that you pay for travel (including between airport and hotel), accommodations at the event as well as complimentary entry to the event. My speaking rate is $1,500, to cover the time and effort involved in preparing and rehearsing a presentation, and attending your event. If no speaker is receiving a fee, I’ll usually waive mine too. I’ll be happy to discuss your specific needs; please do get in touch. You can videos view past keynotes below. Unfortunately this list changes very often as video hosting for conferences can change at any moment. I try and link to YouTube and Vimeo where possible. Below is a selection of representative feedback from audience members of my past presentations and attendees of my workshops.